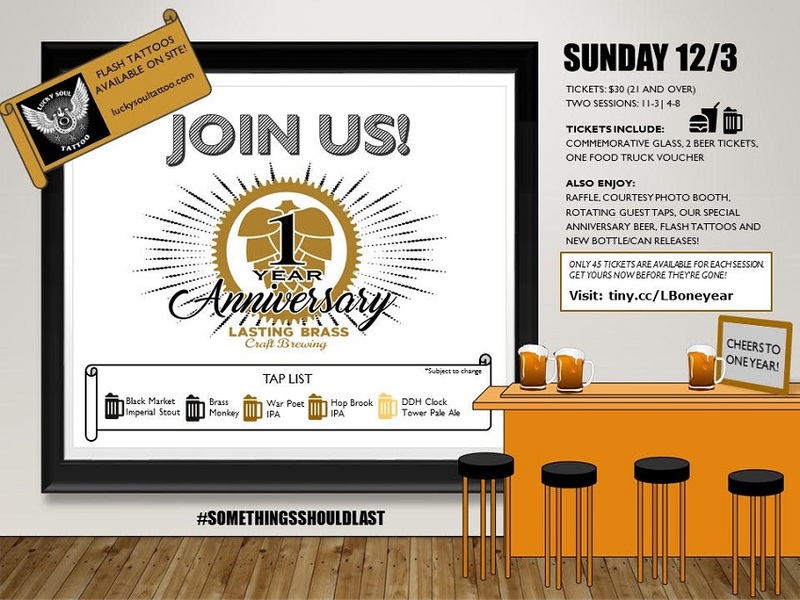 Lasting Brass Brewing's first anniversary party. Only 45 tickets are available for each session. Get yours now before they're gone!